Whatever your storage needs may be, Devils Glen Storage in Bettendorf, IA has the right storage facility at a competitive price for you. All of our storage units are clean and secure with the latest on-site security systems. We also have indoor boat and RV units with power, lighting and easy access. Our location and the state-of-the art units are attractive and very competitively priced. Whether you are a small business owner, a young couple moving or building a home, an apartment renter or a small contractor with storage needs, we have you all covered under one roof. 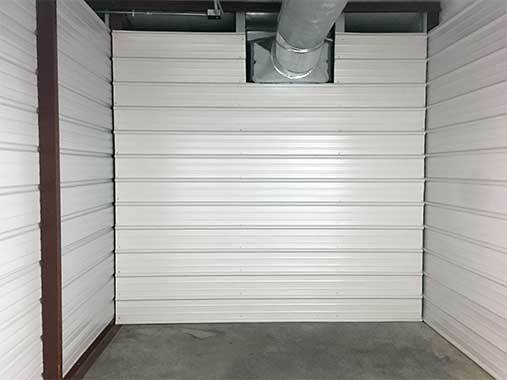 Clean, dry and secure, these units are convenient for items too big for your garage or basement such as patio/deck furniture, bicycles, outdoor toys and miscellaneous seasonal items. Sales Tax must be added to monthly rate. One month deposit and purchase of a Devils Glen Storage lock for $10 required at contract signing. Temperature controlled units protect your more sensitive items. These units are ideal for keeping your motorcycles, business documents, electronic items and other belongings needing protection from the swings in Midwest temperatures. These larger units feature convenient oversized doors, motion sensor controlled fluorescent lighting, and some with 30 amp plug-in/circuit for charging and temporary power. Units are metered individually; you pay for electric usage at standard utility rates. Devils Glen Storage has units tailored to the needs of your business. We are set up to configure units to meet any needs you may have to safely and securely store your inventory and supplies. Our 24/7 access, superior lighting, and state of the art security provides top notch warehousing at economical prices.